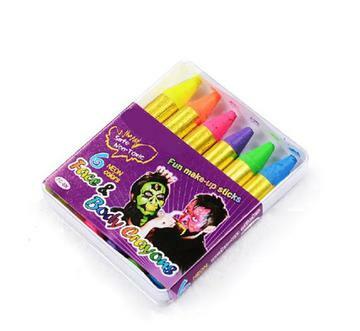 Ideal for face painting and body art! This product is perfect for a quick splash of blacklight effects when needed. Small body and tip allow for fine detailing. Applies to face, hair, or body. The possibilities are endless! Each color is about the same diameter as a #2 pencil and has a length of 2.25 inches.